They Ask You Answer is a straightforward guide to fixing your current marketing strategy. Regardless of your budget, you are almost certainly overspending on television, radio, and print ads, yet neglecting the number-one resource you have at your disposal: the Internet. Content marketing is no longer about key word-stuffing and link-building; in fact, using those tactics today gets your webpage shuffled to the bottom of the heap. 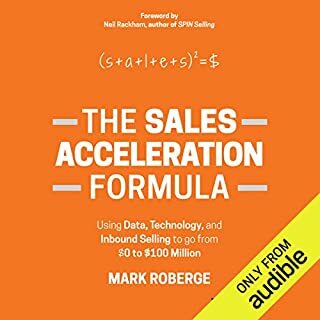 The Sales Acceleration Formula provides a scalable, predictable approach to growing revenue and building a winning sales team. Everyone wants to build the next $100 million business, and author Mark Roberge has actually done it using a unique methodology that he shares with his listeners. As an MIT alum with an engineering background, Roberge challenged the conventional methods of scaling sales utilizing the metrics-driven, process-oriented lens through which he was trained to see the world. How do you cut through the noise, commotion, and bad information that is right now cluttering up your customers' digital space? Epic Content Marketing. One of the world's leading experts on content marketing, Joe Pulizzi explains how to draw prospects and customers in by creating information and content they actually want to engage with. No longer can we interrupt our customers with mediocre content (and sales messages) our customers don't care about. 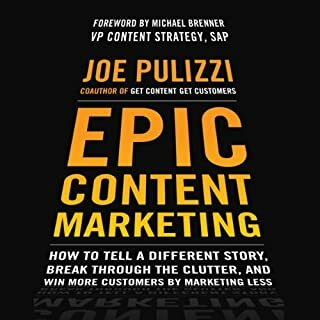 Epic Content Marketing takes you step by step through the process of developing stories that inform and entertain and compel customers to act - without actually telling them to. Magnetic Marketing® is a radical, dramatically different sea-change in the way new customers, clients, patients, or prospects are attracted and in the way products, services, businesses, and practices are advertised. It is a “change movement” that has established itself in over 136 different niches, business categories, industries, and professions, but is still also a “best kept secret”. To market your business, reach new customers, and create long-lasting loyalty, you need one indispensable element: CONTENT. Whether it’s bite-sized tweets that allow you to forge relationships on Twitter, blog posts that give your readers must-have advice, ebooks or white papers that engage (and don’t bore), videos that share the human side of your company, interactive webinars that deliver a valuable learning experience, or podcasts that can be downloaded and listened to on the fly (and more!) . . . Discover the outbound sales process that, in just a few years, helped add $100 million in recurring revenue to Salesforce.com, almost doubling their enterprise growth...with zero cold calls. This is NOT another book about how to cold call or close deals. This is an entirely new kind of sales bible for CEOs, entrepreneurs and sales VPs to help you build a sales machine. What do many successful businesses and leaders have in common? They're the first names that come to mind when people think about their particular industries. How do you achieve this level of trust that influences people to think of you in the right way at the right time? By developing habits and strategies that focus on engaging your audience, creating meaningful relationships, and delivering value consistently, day in and day out. To connect with today's buyer, you need to stop pushing your message out and start pulling your customers in. The rules of marketing have changed, and the key to winning is to use this change to your advantage. If you've wondered how to get found in Google or why blogs and social media sites like Facebook and Twitter are important, Inbound Marketing is the audiobook for you. 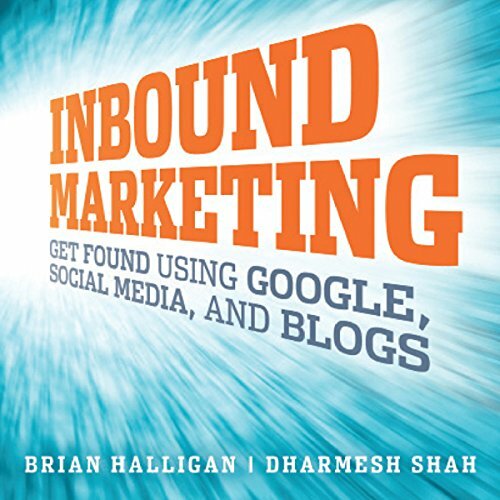 HubSpot founders Brian Halligan and Dharmesh Shah give you the tools and strategies you need to improve your Google search rankings, build a blog to promote your business, grow and nurture a community on social media sites, and analyze which of your online marketing efforts are working. Stop wasting money blasting the world with marketing messages that nobody cares about. Instead, learn to get found with Inbound Marketing. DON'T BUY THE AUDIO VERSION! I have never written a negative review on Audible before. If I don't like a book, I just chalk it up to my failings as a listener or a matter of personal taste. But this book has motivated me to get off my proverbial derriere and warn you: Do NOT buy the audio version of this book! I stress the "audio" bit because the book itself is excellent. One of the best and most comprehensive I've read on the subject, actually, and one well worth owning. On paper. Not only is there lots to absorb and think about, but it's content you'll likely want to return to time and again as you tweak your approach and strategy. But the reader, oh boy. Maybe it's a mismatch of personality? The reader sounds lovely-- his diction is clear and he has a nice voice. But he also has this ridiculous fake upbeatness that makes me want to rip off his arm and reattach it to...an orifice. It's a little like spending 5 hours and 6 mins with a used car salesman. I mean, you can practically SEE his smarmy smile and polyester tie. It brings to mind a sort of brightly painted, plastic happy. Okay for 30 seconds. Period. I think this reader can do so much better. He needs to put some poison ivy in the underwear drawer of the person who advised him to always smile as he reads. He needs to slow down and think about what he's reading and emote accordingly. He's got the voice and the clean diction. He just needs to throw out some of those cookie cutter assumptions. Or something. In conclusion, do yourself a favour: invest in the paper copy of this book. Better still, get it from the library and see if it's something that works for you. But don't buy this audiobook. The ideas in this book hits all the buzzwords today- social networking, google, blogs, etc and explains how to use these things to enhance your business. These ideas aren't new, but I guess it's somewhat useful to have summarized. The book also directs you to some online tools which are run by the author's companies, making me think this book was in part just a big commercial for their services. I just want to start by saying, I'm a guy who's pretty good at finding the good in anything. In fact, I'm very rarely compelled to say anything at all If I've got nothing nice to say. With that, the good thing is that the information in this audio book is solid and truly useful. Here's the bad thing: It's practically unlistenable (yes, I made up a word for this) because of the narration. What is that pompous, condescending inflection in your voice sir? Stop that, or learn a new vocation, ok? I'm very interested in this information, and have tried 5 times to finish this audio book. I cannot. Buy the book people, and have someone else read it to you. 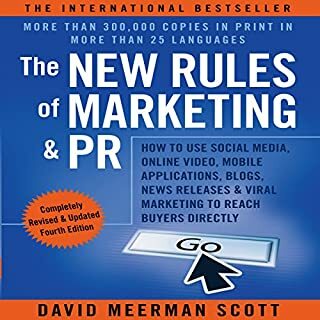 If you are looking for the essentials on blogs, SEO, social networks, content generation and everything else about marketing on the internet this book has it all and more. It is not an academic treatment of the topics, but is more of a hands-on A to Z guide on all aspects. It is clear these guys have been doing this in the trenches for sometime. It is rare I finish a book feeling like I have tools right now I can put into action, this book did that for me. As for the reader, the voice did not bother me at all. I almost did not buy the book because of those reviews. I am very happy I did. Reading this book is a good place to start for anyone just starting out in internet marketing. It covers the basics of internet marketing. I listened to it after taking an internet marketing class at my local university. I got basically all the same information from the book as I did from the course. The book is full of "ideas" how to spend your life doing on the net things that don't work. After 6 months of writing my blog I realized how theoretical and superficial the tips from this book are. Learn SEO, don't waist your time here! Invest money in your web site, free doens't work. I really liked this book, tons of specifics on how to do things, very detailed, highly recommended. It was an interesting book. Good for the beginner to inbound marketing. I did get some good nuggets of information. And it was a good reminder of things I should be doing and reinforced many of the strategies I am already doing. This book is a great tool for anyone with a web site. Must read. He gives great "To-Do" lists at the end of each chapter. He really lays out a blueprint for you to easy follow, no matter what your level of skill is. Worth every minute and penny. I immensely enjoyed listening to this book, but most of all I really enjoyed implementing the tips and stratedgies it offered. majority of claims out there, that social media is effective for generating business. I can honestly now say that I definitely now know that it is effective. Within two weeks of implementing the authors tips and strategies I managed to bag a new customer on my website and have generated positive revenue from this relationship. The most remarkable feature of this, is that my website is still only now partly complete. I certainly recommend this book for anyone who would like to change the way they currently market their business. More than just a good book! 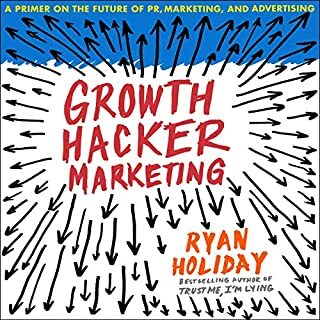 This audiobook was awesome, it has opened up so many new ideas and allowed me a deeper insight in to the world of inbound marketing. I recommend this to any general marketeer or anyone generally interested in social media, business or marketing of any sort. 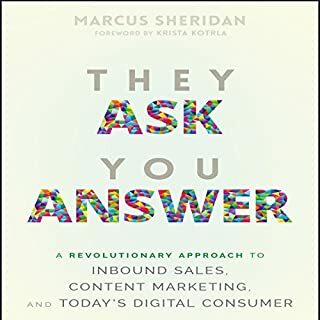 Once you start using the links the guys give you too, you will find on their Hubspot site the same sort of remarkable content that they talk about throughout the audiobook, awesome. This book makes it very easy to follow and extremely easy to understand. It is an ideal way for even the novice to understand get acquainted to Social Media. On the other end of the scale, it is also good for the experienced techie as it has some useful tips, hints and advice. Well worth the money and investment in time as you will earn your money back many times over. Highly recommended and would even go as far to say that this is the best audio book I have ever listened to. A Marketing Book that talks sense. As a confirmed sceptic, I found the book clear and full of great advice. I saw immediate results from using it. It's a bit 'American' but it is very grounded and packed with really useful and practical advice. Within a week of putting the advice into practice I started to see organic visitors not only coming to my site but signing up for stuff. I have been keeping a track on my sites ranking on google and yahoo and they have been steadily rising week on week. Well worth listening to with a notebook handy. It works. Recommend if you have a website and don't want to spend a fortune on advertising. This is the first book I downloaded related to website building and Social Media use. It is an excellent introduction and contains many useful tips. As a start, it gets you into the right mindset and makes it very clear what thinking is required to use the internet as an effective marketing tool. It is clearly written, the authors have loads of hands on experience and it is well read. However, the authors are from the US and the perspective is very US. Which is fine if you are from the US or are looking at a global audience. If you are looking at a UK market it is still useful and informative, but 'Pimp My Sight', written by a UK resident, contains more helpful information, links and suggestions for UK would-be website and social media novices. That said, if you are just considering entering the world of websites and social media for marketing purposes, its a really good start. I found this audio book really useful for learning about what I should be doing to increase sales in my business. We were having a new website designed at the time (thank goodness) and this audio book gave us loads of new ideas that we actually incorporated into our website design. It also points you to various different sites that I hadn't known about before to check out how well your current inbound marketing is doing. The narrator is easy to listen to (I find some american accents quite hard to concentate with but this guy was good seeing as the book is about 5 hours long). I would say that the information contained is well worth the money. I loved this book. 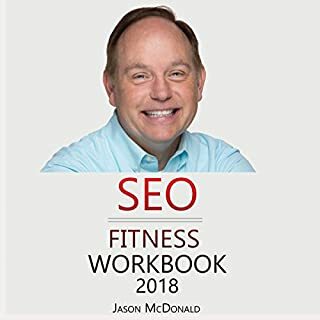 It is almost like an encyclopedia of digital marketing, full of useful information, ideas and references to other sources. Even though some of the references are no longer valid, as the field develops very quickly, I highly recommend the book. The bible of inbound marketing! This book is full of a wealth of information on inbound marketing. Weather you have a background in marketing and are looking to learn more or if you own your own business this is a must read! Who knew the extend of this world. I have my passport. Time to stop being a tourist and become a citizen. a good book for novice in inbound marketing. this book covers everything in inbound marketing. and will good for novice marketers or entrepreneurs who are looking to start Inbound Marketing in their business.